Το Shui Sha Lian Hotel, στην περιοχή Λίμνη Σαν Μούν σε Ναντού, αποτελεί δημοφιλή επιλογή για τους ταξιδιώτες. Σε μια τοποθεσία μόλις 2km από την συναρπαστική ζωή της πόλης, αυτό το 3 αστέρων ξενοδοχείο αποτελεί ένα εξαιρετικό μέρος και παρέχει εύκολη πρόσβαση στα μεγαλύτερα αξιοθέατα της πόλης. Με την βολική του τοποθεσία, το ξενοδοχείο προσφέρει εύκολη πρόσβαση στους προορισμούς της πόλης που πρέπει οπωσδήποτε να δείτε. Στο Shui Sha Lian Hotel, πραγματοποιείται κάθε προσπάθεια για να αισθανθούν άνετα οι επισκέπτες. Για να το πετύχει αυτό, το ξενοδοχείο προσφέρει τις καλύτερες υπηρεσίες και ανέσεις. Κορυφαία χαρακτηριστικά του ξενοδοχείου συμπεριλαμβάνουν τα δωρεάν WiFi σε όλα τα δωμάτια, ημερήσιος καθαρισμός, παράδοση ειδών παντοπωλείου, υπηρεσία ταξί, προσβάσιμο με αναπηρικό καροτσάκι. Ελάτε σε ένα από τα 54 φιλόξενα δωμάτια και ξεφύγετε από τα άγχη της ημέρας με μια ευρεία γκάμα ανέσεων, όπως δωρεάν τσάι, ντουλάπα, πετσέτες, κρεμάστρα ρούχων, παντόφλες, που θα βρείτε σε ορισμένα από αυτά. Εξάλλου, το ξενοδοχείο διοργανώνει πολλά ψυχαγωγικά δρώμενα έτσι ώστε να έχετε πολλά πράγματα να κάνετε κατά τη διαμονή σας. Όποιος κι αν είναι ο σκοπός της επίσκεψης σας, το Shui Sha Lian Hotel είναι μια εξαιρετική επιλογή για την διαμονή σας στη Ναντού. Taiwan Citizen Travel card's bonus and offers do not apply to the online bookings. The toilet is with sewage smell and moldy. Pillow with oily hair smell. Not as bright and clean as in picture. Window frames are also moldy . The only plus point is the location is near to street and harbour. Stay 2 night with family on level 9 lake view room, best view of the whole lake - you can see the cable car, mountain, lake, Lalu island and best of all - the amazing sunrise! Worst buffet breakfast ever in Taiwan - not many choices and lots of people. But overall it is very much worth the money you paid for the lake view. The location of the hotel cannot be any better. The Shuisha Pier is at the hotel backyard. 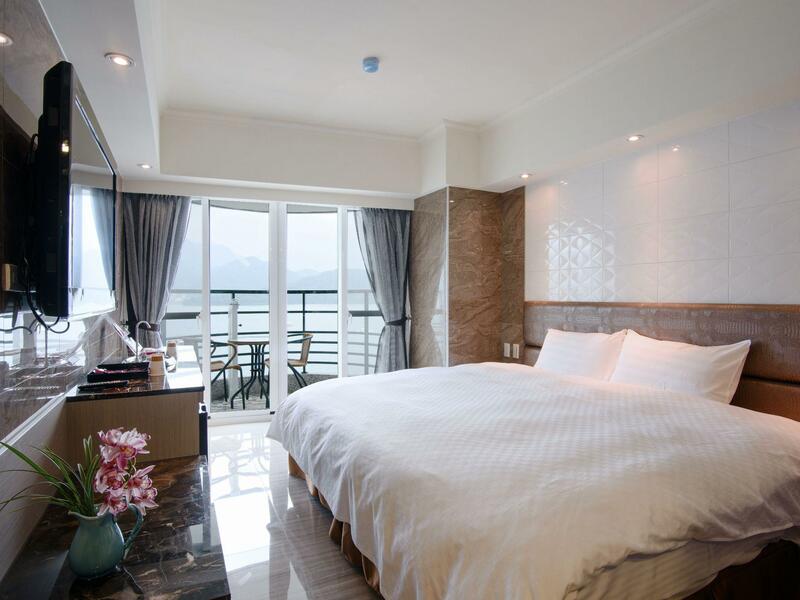 Those with rooms equipped with a balcony face the Sun Moon Lake and mountains. The Sun Moon Lake Bus Station is also just a few minutes walk away. Decent buffet breakfast with a lake view. Location is great. But there is no Heater. Well worth the extra cost for a lake view room on the 8th floor. Fantastic sight in the early morning (watched the paddle boarders head out at 5:30 am !). Good breakfast buffet included in our rate. Room is rather small and tight but acceptable. Great location just 4 min from the Round The Lake shuttle bus stop and 1 min to the pier. Hotel is conveniently located just in front of shui she pier. Many eateries and shops nearby. Hotel staffs are also kind and helpful when we asked for directions around sun moon lake. One thing I dislike is the toilet has a strong urine smell and the sink is quite dirty with some stains. Conveniently located just beside shui she pier and many restaurants/eateries/souvenir shops nearby. Room is very spacious. Only thing I dislike is the toilet has a strong urine smell and sink has stains. The bedroom is clean though. It is a very nice hotel right next to the lake. Nice location and clean room. This place was the WORST. Upon entering our room, we feedback to the staff that there was a strong sewage smell coming from the toilet which permeated the whole bedroom. Staff were uncaring and told us to return ten minutes later while they use a small black box to "purify" the air. Ten minutes later the room was filled with a strong unpleasant smell arising from "air purifier". We told the staff that the room still stinks. Staff were nonchalent and said most guests have no complaints after the air purifier. They claimed that the hotel's rooms all have a sewage smell because the hotel is near to the river. How is this hotel service?? It was at night, we were tired, and just wanted to rest. However it was impossible to sleep with the strong smell. We asked to switch rooms but the hotel employee claimed there were no other rooms available. I was in tears. When the hotel manager saw we refused to budge, she finally instructed the employee to give us another room. Breakfast was unedible!!! Good view from the terrace. 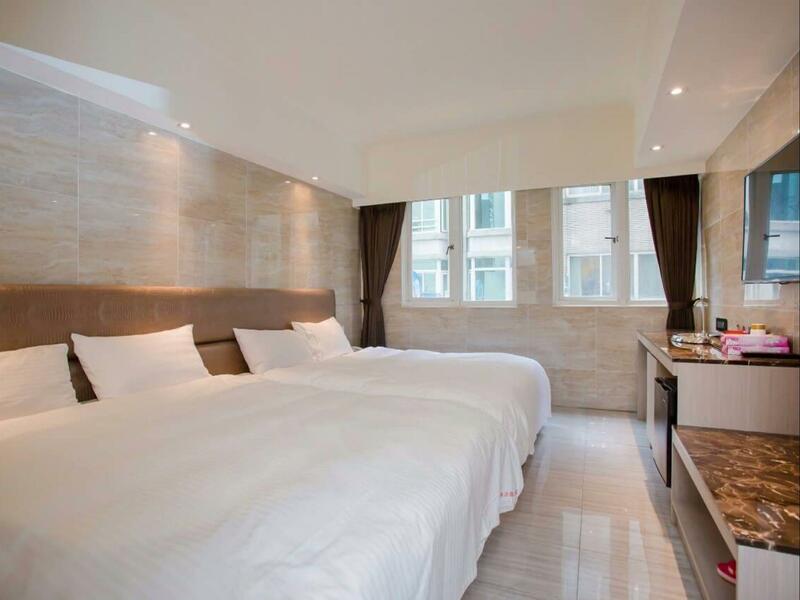 I recommend to choose lake view room The hotel locates near harbor and bus station. Starbuck is beside on the left side. The staff cannot speak well English but helpful. Breakfast is fair. I go there on the foggy day, the boat was stopped. Please check the weather before go there. The hotel is next to Shuishe pier, very convenience if you travelling by bus. After get off from the bus, you can walk from the stop to hotel. The room is a little bit tiny and has some dust around windows. The breakfast was bad, not well prepared and they not replace the menu that running out. I can only get 2 breads and hot milk tea from the breakfast line. Everything is perfect. 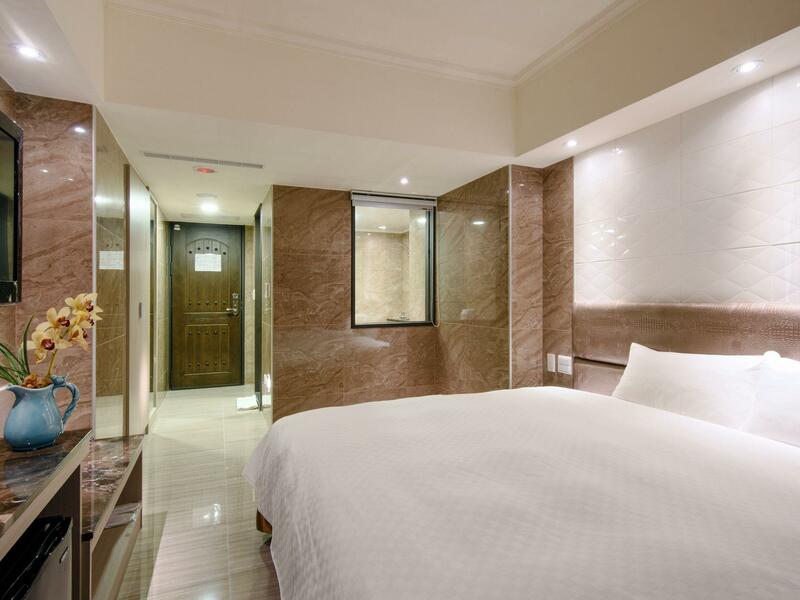 However, it would be better if there is mirror in the room not only in the bathroom. Thus I can dress up while my friend is in the shower. Moreover, if the breakfast is filled up, it would be more impressive. Room was spacious and clean. TV has a wide variety of channels. Hotel is within walking distance of Shui She Visitor Centre and Shui She Pier, easy to get around. Setbacks are our toilet cannot be locked (but that's not a huge problem for us as a family). And during breakfast one day, we found a cockroach on the western breakfast tray. We reported it to the staff and they promptly removed the affected food items. Good location, right beside the harbour. The room is spacious and the bed is huge. It is pretty amazing to have a water dispenser inside the room. Amenities provided were adequate. The exteriors were a bit dated though. I stayed in lake viewed room. Hotel photos represented all you will get. Breakfast was so so. The bad thing was toilet at B floor was dirty. I do recommend. Very near to pier& bus station. Beautiful view from the room. Comfortable bed & very reasonable place to stay. I would definitely recommend this to my friends . 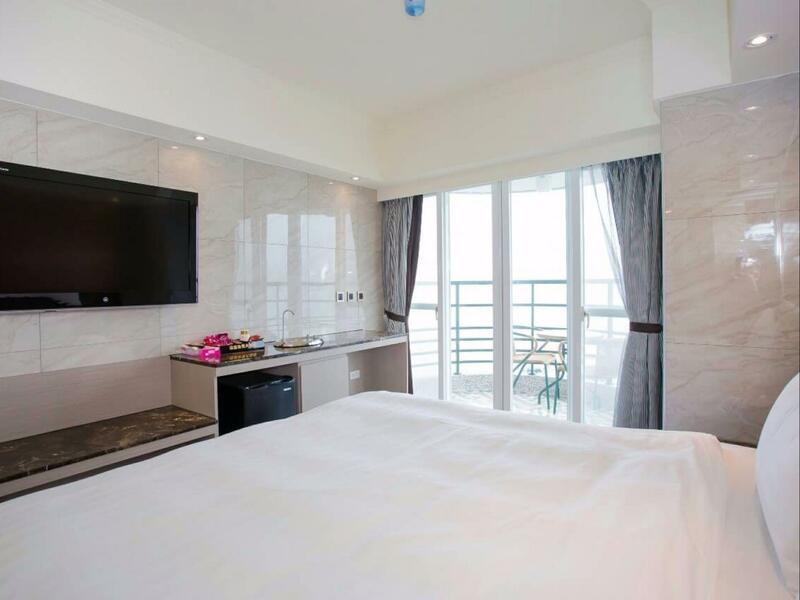 We stayed in a room with balcony overlooking the Sun Moon Lake and we weren't disappointed. The hotel is also a short walk to everything. The only downside would be the bathroom. First, the bathroom has a window with curtain outside. So you have to trust your roommate enough that she/he would not open it!! Also, the shower did not have a curtain, so the water went all over the bathroom floor after shower. Other than that, it was a great hotel to stay. The hotel's location is very good, near by the boat pier, restaurants, souvenir shops and convenient stores. As I had to leave very early, I did not have a chance to try its breakfast. So, no comments on that. The staff is friendly. Only one mildly unpleasant note is the bathroom. It is impossible to not spill water out of the bath tub as there is no shower curtain. 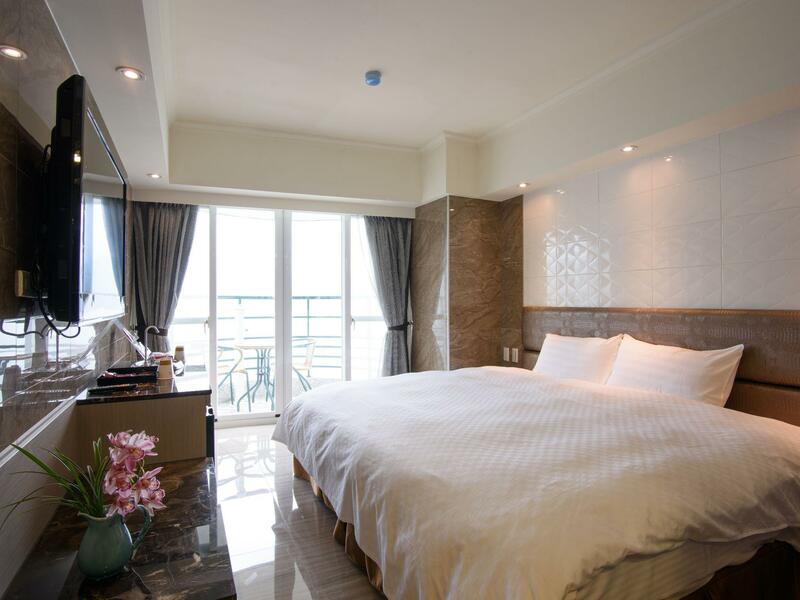 The hotel located right at shuishe port where u can enjoy the great view of sun moon lake, i think this is the best hotel of all in the area in the same price. The room is full with facilities, bed very comfy, rest room is nice. I definitely stay in this hotel again. Shueishe Visitor Center Bus Station στα 0.16 χλμ.